Think of the last time you were in the market for a product or to find a restaurant for dinner – did you search online for reviews of the product or the business? If you’re like me and many other modern consumers, the answer is likely, “Yes.” And again, if you’re like me, you may take for granted that those online reviews are objective and real. That is why it is encouraging to hear that a company like Amazon, as well as the Federal Trade Commission (FTC), are taking steps to ensure that consumers can trust those reviews. In October, Amazon filed suit against more than 1,000 people who allegedly offered to write reviews of products they had not used in exchange for a fee. 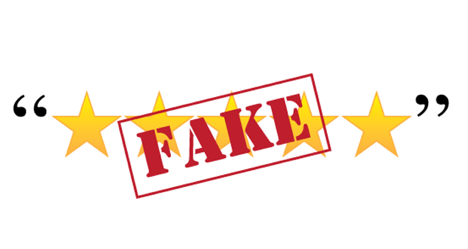 According to the company’s complaint in King County Superior Court, each of the individuals sued in this case used the website Fiverr, a global online marketplace for individuals offering tasks and services in order to offer to create fake reviews for a fee. The complaint outlines a typical encounter between an Amazon seller and a prospective fake reviewer. Amazon is not alone in the fight against fake reviews online. In September, the FTC settled with Machinima, Inc., a California-based online entertainment network mainly focused on video games, for allegedly using deceptive advertising to contract “influencers” to endorse the launch of Microsoft’s Xbox One system and accompanying video games. Machinima, Inc. provided some of these influencers with pre-release versions of the Xbox One and video games, and asked them to create videos endorsing the products, and then paid influencers for hitting a certain number of views on their videos endorsing these products. The company advised these influencers to showcase Microsoft in a positive light. The main issue the FTC had with this marketing campaign was that the influencers were not required to disclose that they had been compensated for their videos. The settlement prohibits Machinima from misrepresenting, in any influencer campaign, that the endorser is an independent user of the product. It also requires the company to prominently disclose any material connection between the endorser and the advertiser, and prohibits Machinima from compensating any influencer who has not made the required disclosures. These actions are important for the many consumers who rely on what they hope are objective reviews to purchase products online. Confidence in these reviews is important because consumers are often unable to interact with the product before purchasing it online. It is relatively easy for an online seller to manipulate the information that a prospective customer is likely to find about its products, so it is important that consumers have a certain level of confidence that the reviews they read online are an honest representation of a product’s potential performance. In addition to benefitting consumers, creating an increased level of trust among customers who read and rely on reviews posted online benefits the many small businesses that operate predominantly or exclusively through their online storefront, either through their own website or via an online marketplace like Amazon.com. Customers are more likely to buy a product when they are confident they have honest information about the product’s performance. Those looking to endorse people to create reviews of their products would be advised to read the FTC’s endorsement guide to ensure they are not running afoul of these consumer protection regulations.